All hail Cardi B (again), for she has broken another record. This week, she became the first rapper and only the third artist to have her first three Billboard Hot 100 singles in the top 10 at once—a streak that puts her in the rarest of company with the freaking Beatles and Ashanti (yes, Ashanti). Cardi has all but avoided the one-hit wonder curse, largely against expectations, with featured verses on G-Eazy’s “No Limit” (which stands at No. 4 on the chart this week) and The Migos “MotorSport” (No. 7), which features herself and Nicki Minaj. 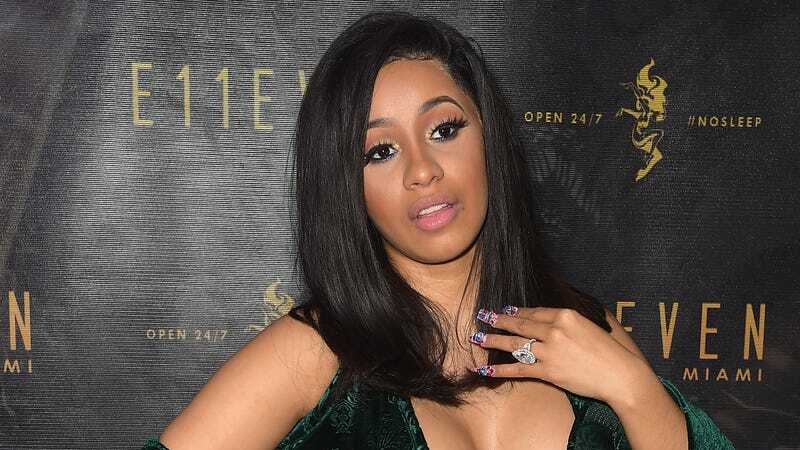 Cardi’s biggest hit “Bodak Yellow (Money Moves)” meanwhile moved up to No. 10, securing her record. In September, she became the first solo female rapper to land a No. 1 hit (aka, with no featured guest) since Lauryn Hill 19 years ago. The Grammys can go ahead and carve her name on at least one plaque.